The cost of nostalgia. 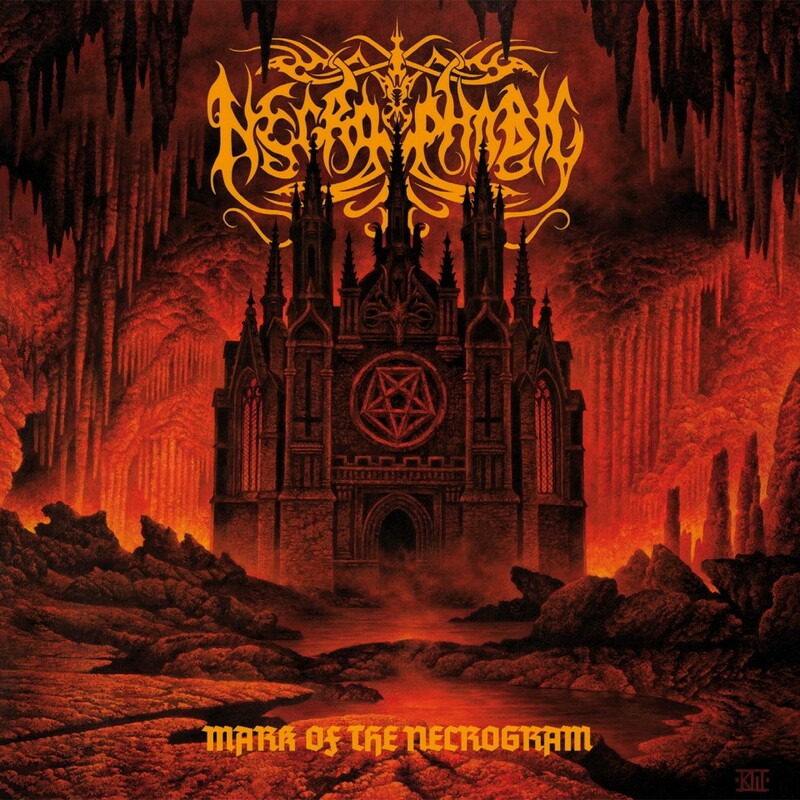 Review for Necrophobic’s new album "Mark of the Necrogram"
The legacy of black metal is so well-known nowadays that very few fans of extreme metal are ignorant to the sonic hallmarks of the genre, unfortunately though (and I can’t really say this without sounding like an elitist) due to the widespread knowledge and acceptance of a once-fringe genre in the general metal media it means that black metal is consistently welcoming new fans all the time. This is not me 'gatekeeping' and saying black metal is full, quite the opposite in fact, the biggest challenge new fans to the genre face is getting exposure to the best bands that black metal has to offer; the magazines that introduce people to black metal consistently peddle the dross promoted by the major 'extreme' labels who actively promote regressive music. These labels thrive on the ignorance of newer fans and casual listeners, they do little to introduce new elements to people and keep the status quo by actively promoting bands who rely on tried and tested formulas laid down in the nearly 30-year history of the genre. It's now an industry that thrives on nostalgia and the repackaging of ideas. Necrophobic fall into this category and if I could pick an album (even this early on in the year) as the safest bet for the year this would be it. Don’t get me wrong the music isn’t bad, just remarkably average, there is a distinct 'Swedish' sound to it, bringing to mind bands like Dissection and newer Watain. The music sounds like a computer analyzed "Reinkaos", "Sworn to the Dark" and "Vobiscum Satanas" then set to work on composing an album. It’s so by the numbers it’s painful; this is the kind of album that would be played at a gig over the speakers before the band comes on, it's so inoffensive and bland that no-one would notice it playing or find fault with it. "Mark of the Necrogram" sounds like black metal, it's competently performed and has a rich polished sound that makes it feel like a commercial effort; a CD that would sit comfortably nestled in between a Dimmu Borgir and In Flames record. Necrophobic have such a rich history within the Swedish scene coming up alongside bands like Dissection and Unanimated that it is a shame to see them dial in such an average performance but this isn't a fluke, their last album was incredibly similar too. I get the feeling that most of those people who think this album is great are just inexperienced or less informed about black metal. As much as black metal is notorious for harboring elitists and fans that are fiercely protective, I can't help but feel that it is sometimes justified when people are presented with such toothless works. I don't ascribe to the '2nd wave or die' trend, not every band needs to be kvlt and grim, but there does need to be evolution which is what the 2nd wave was birthed on. Most 'popular' black metal these days is far too regressive but I guess that's the cost of having a major label (Sony) at the helm — play it safe, appeal to the ignorant masses and profit. If you want to hear new and exciting black metal look at labels like Agonia, Nuclear War Now and Debemur Morti.